Small Caps Typography: Real or Fake? 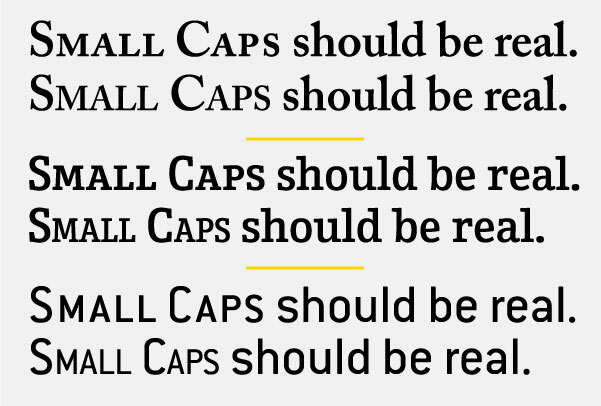 Small caps are uppercase letterforms that are shorter than cap height. 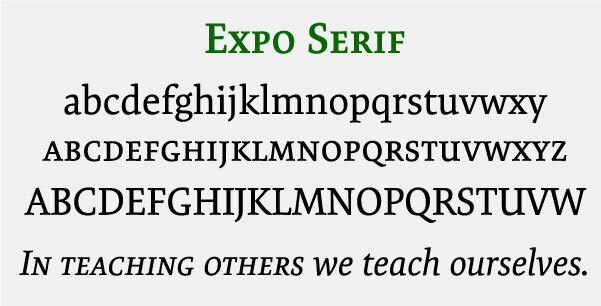 When designed for a text typeface, they are most often the height of the lowercase, or slightly taller so they harmonize well when set with running text. Small caps that are created for display and decorative designs have more flexibility, and are often taller than the x-height so that they work well with the caps. Small caps in text designs are designed to harmonize with the lowercase. In some decorative designs with short x-heights, the small caps are designed to complement the capital letters. Small caps used by themselves are useful when the distinctiveness of all caps is desired, but with less of a visual disturbance. This can include abbreviations (including A.M. and P.M.), acronyms, and any instance calling for moderate emphasis without disturbing the overall “color” of lowercase text as much as all caps do. 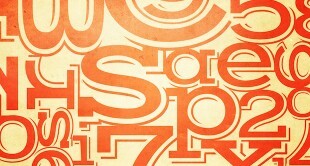 Learn more about the essentials of typography in my CreativeLive Class, today. When used alongside caps, small caps catch they eye and help create hierarchy, such as in book covers, title pages, page headings and footers, headlines and subheads, text lead-ins, as well as text following initial letters. So what’s all the fuss about true-drawn vs. fake small caps? True or designed small caps are superior to the computer-generated variety, as they are drawn to match the weight, color, and proportion of the caps and/or lowercase. Computer-generated, or “fake” small caps are just reduced capitals, and therefore look too light, too tightly spaced, and often too narrow. If setting professional typography is your goal, avoid these fakers as they are considered amateurish by type-sensitive professionals. 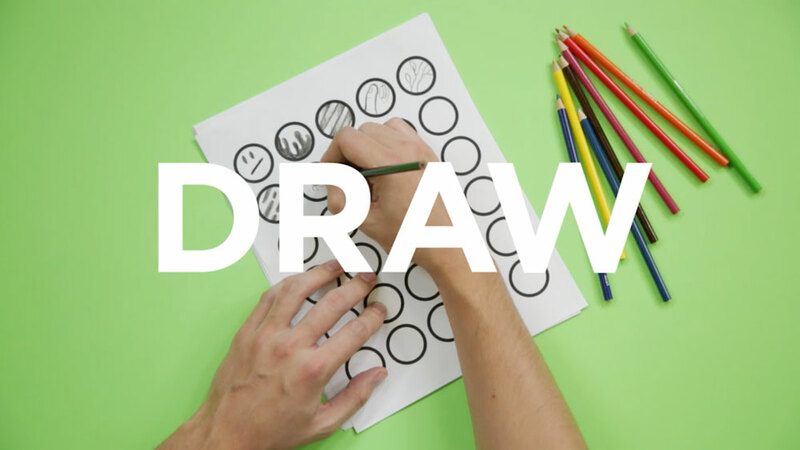 True-drawn, designed small caps (upper settings) are superior to computer-generated, fake small caps (lower settings) in that they are drawn to match the weight, color, and proportions of the caps and/or lowercase. Set in Adobe Caslon, Enclave and ITC Conduit. 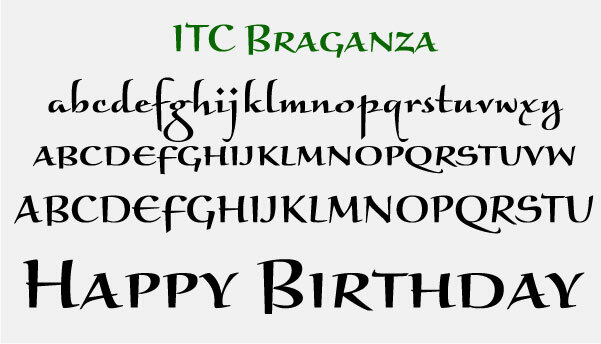 More and more of today’s OpenType fonts contain true-drawn small caps, as their expanded character capacity can accommodate thousands more characters than Type1 and TrueType fonts. These older formats don’t have room for small caps, so when they existed for any given design, they had to be put in a separate font which then had to be accessed for each and every usage. The challenge to using true-drawn small caps is knowing which fonts contain them, and how to access them in your design software. The simplest way to check for small caps is via the glyphs panel. Once you establish their presence, take the time to properly learn how to access them in your software of choice, taking note that this action can sometimes be confusing and unintuitive to locate and to understand. COOL TIP: Most design software has a Small Caps command, but if the font in use does not have true drawn small caps, this action will create the fake variety by reducing the caps 70%. A sure-fire way to avoid these fakers completely is to change the Small Cap setting located in Preferences from 70% to 100%. Note that this will not affect the true-drawn small caps from appearing when available in a font. 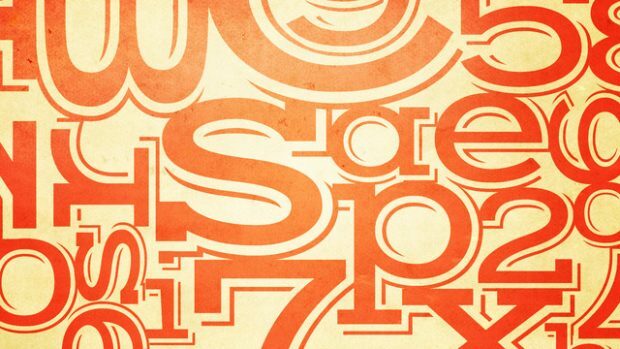 Join me in my CreativeLive Class, Typography: The Fundamentals and learn more about creating unique typefaces that stand out from the crowd. Ilene Strizver, founder of The Type Studio is a noted typographic educator, consultant, designer and writer.